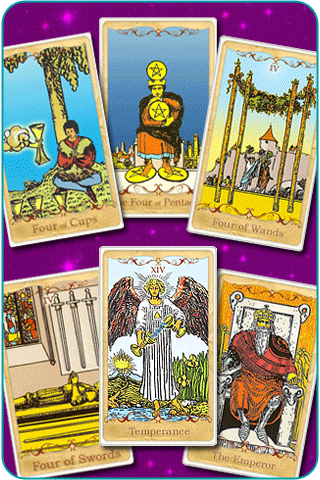 When things are stable in your life, expect to see some cards with the number four on them in your Tarot reading. This is the number of stability and consistency. 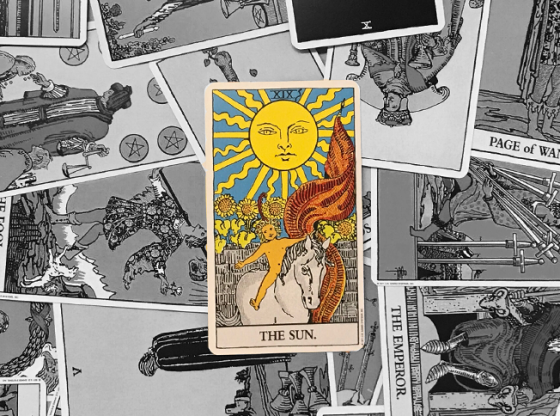 There are four suits in the Tarot deck and four seasons on earth. This natural order of things is often disrupted for short bursts, but it is more likely to trend toward constancy than maintain any of the disruptive energy. Revolutions do not occur under the four, but they may be inspired by the long uninterrupted stasis that underscores it. The timeframe starts as a comforting security and consistency, but it can manifest as boredom, stagnation and resistance to change out of a fear of the unknown. For every side of the four that is peaceful and grounded, there is a shadow side of avoidance and outgrown attachments. Fours are ruled by The Emperor. This card is number four in the Tarot’s Major Arcana. Number fourteen is Temperance, the card that translates The Emperor’s rule over territory and over others into a rulership over one’s self. You are given full responsibility for your behavior when this card appears. The Four of Swords is a card of waiting for the moment to strike, secure in your knowledge, confident of your point of view. The Four of Wands illustrates the solid bonds of a relationship that will last throughout the years. 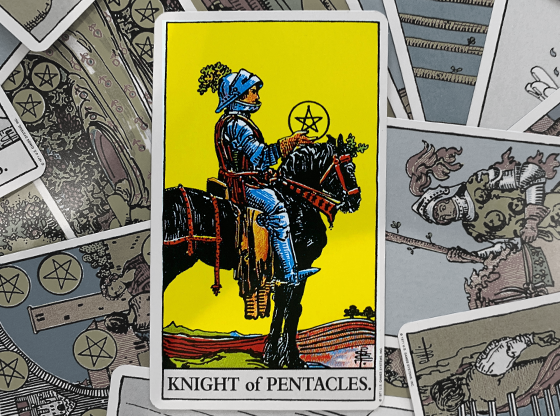 Stable finances, albeit at the cost of enjoying what you have, is the subject of the Four of Pentacles. The Four of Cups details a moment of not accepting love or the advances of someone promising emotional bonding. All of these cards have, at their very root, staying the course. There is no rocking the boat with a Tarot card numbered four. There is, in fact, neither boat nor sea. This is a number indicating solid ground. 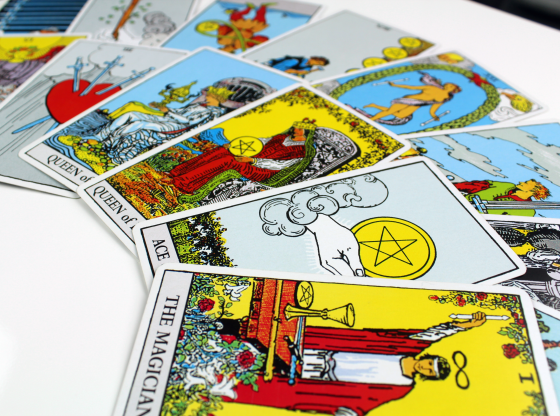 A Tarot reading that has more than one four card definitely brings up issues of stability, consistency and perhaps even a warning of stagnation. 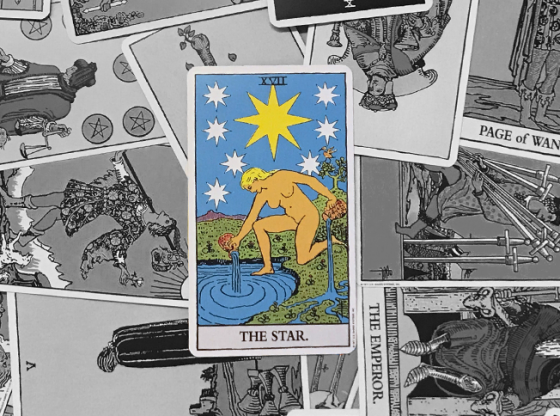 When the cards are dealt at the beginning of your reading, each one is placed into a past, present or future position. When a card numbered four is placed into the past position of your reading, this is a signal of a childhood that was peaceful and secure. If this refers to the recent past, perhaps it indicates an untroubled relationship or a balanced life of late. 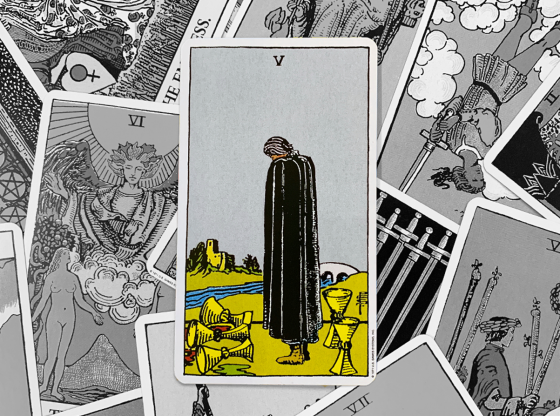 A four card in the present indicates that you have reached a plateau. Sometimes after years of struggle, stress develops when longtime goals are met and things have become easier. Without the daily tension, you might be left wondering where the trouble in paradise is going to come from. 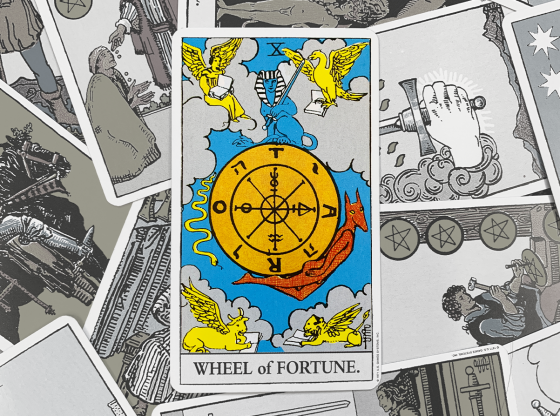 The future position is a great place to see a Tarot card with the number four on it. When one lands in this position, you can look for a calm and constant outcome to your overall situation. The certainty of The Emperor trickles down to all the cards that carry his number. 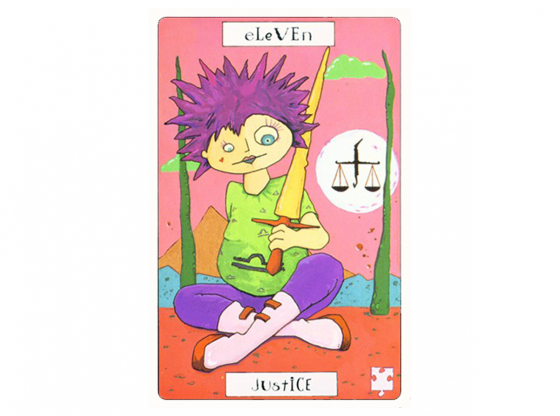 This card sets the tone for what the number four represents within the deck. As he sits on the throne, understand that The Emperor is not alone. He is staring at you. You are included in this card as a viewer. What is The Emperor in your life? What provides you with the most security? The ultimate achievement in life is to look at this card as a mirror. When you are the stabilizing force in your own world, you are The Emperor of all you see. The oath of consistency that Temperance represents echoes throughout the cards of the Tarot deck that share its number. This is the card of maintaining as even a state of mind as possible. Relaxed and in control, Temperance is a card of enormous self-control. In the Tarot deck, this card sits numerically between Death (number 13) and The Devil (number 15). Temperance is the state of doing without and being blessed because of this non-activity. Giving things up for now or for good is the best plainspoken description of what this card represents. The energy surrounding the card makes indulgence seem to be the waste of time; and all this while following in The Emperor’s footsteps when it comes to ruling over yourself. The peaceful scene in the cathedral depicted in the Four of Swords is not to be misunderstood for being asleep. The four swords here are divided into three hanging above the sarcophagus and one at its side. Swords represent ideas and communication. Here they are the ideas of the way the world works; they act as a continuum bridging generations. Resisting temptation is as much the theme in the Four of Cups as the stubbornness of the boy on the hill. This is an echo of Temperance, but consider that The Emperor, sitting on his throne, must lead with certainty and cannot veer into wild, new territory. Self-denial is the first step in empowering that which you already most certainly have. 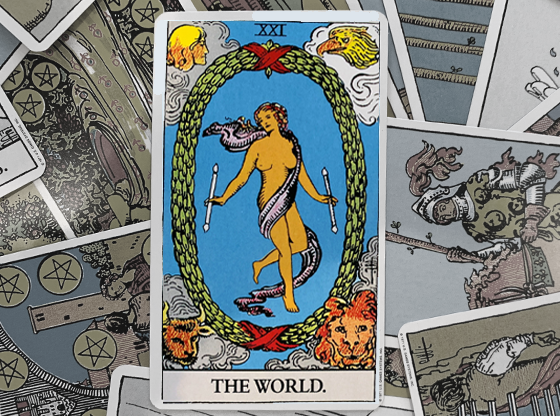 The Four of Wands represents celebrating a union between two people as the backbone of polite society. When we build the canopy in the yard, we acknowledge that these ceremonies will be touchstone memories in our lives and the lives of everyone in the community to the point that a stable population and culture will emerge and remain established. While others spend wildly and frivolously, holding on to your assets will ensure that you do keep what is yours. But do you even know how much you have or what you might be blocking in standing still? The Four of Pentacles illustrates a love of the material world so much that what this plane of existence has to offer is blocked. Without the energy flowing, this man knows that chaos will be avoided. But without using money as a tool to be invested, this man is holding on to an illusion of stability. 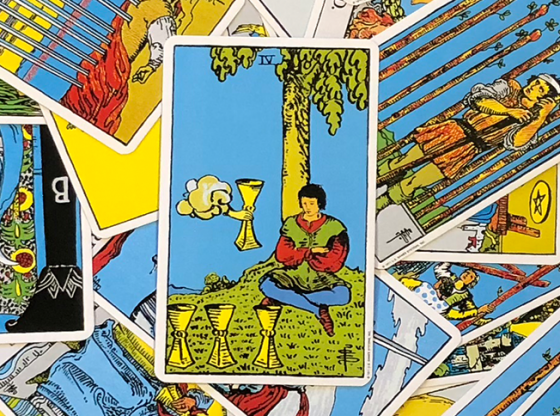 In conclusion, any card with a four in it makes your Tarot reading a little less dramatic and pulls the ultimatums back from challenging you into immediate action. 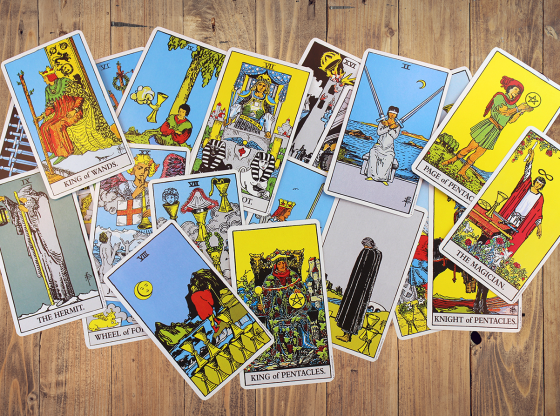 Think of where things are firmly established in your world and you will see the four cards of your Tarot reading reflected back at you.